As an agency, our strengths are listening to client needs and then translating them into deliverables to produce results that meet their goals and objectives. We are strategic thinkers, but we aren’t in the business of developing strategic frameworks and models. We leave that to the experts. We have also been a sponsor of the SiriusDecisions Summit for a number of years. Attending the summit is akin to finding your tribe. There are over 3,000 B2B marketers that speak the same language and can relate to the obstacles you’re facing. Over the years, we have met countless new clients, partners, freelancers and friends with whom we continue to have strong relationships. As with any tribe, the Kool-Aid consumption can be overwhelming. However, SiriusDecisions tends to appeal to a more senior crowd than events like Marketo Nation and Hubspot’s Inbound, so the brain-washing and groupthink isn’t as obnoxious. It’s really hard to stay on top of everything happening in the B2B marketing space. It’s also challenging to decide what’s an important trend that requires your attention…and what is simply noise or a blip. According to Scott Brinker’s Marketing Technology Landscape Infographic, there are now over 5,000 marketing tech solutions. This can be extremely daunting for marketers, as it’s difficult to know which of these companies are good and which ones are impostors. We often get clients asking us for recommendations on certain technologies. If we don’t have a strong POV, we’ll look at the Sirius Marketplace or ask someone at SiriusDecisions for their thoughts on how a technology or vendor fits in the ecosystem, and whether it’s someone to keep on our radar or not. It’s intuitive that alignment between sales and marketing is necessary for success. The data consistently bears this out. However, the issue of misalignment in organizations continues to persist even today. One of SiriusDecisions’s sweet-spots is getting alignment at the top of the organization. They have the credibility to garner the attention and buy-in of the senior leaders in sales, marketing and product, as well as the skill to find common ground and ultimately alignment on objectives and processes. This philosophy of alignment permeates to many of the other frameworks they produce. As an agency that implements these frameworks, we think this is a very practical approach, because it’s very challenging to implement a marketing program in the absence of sales buy-in. All marketers bear the scars of failed campaigns due to their inability to compel sales to participate or take the porgram seriously. Over the years, we’ve had the pleasure of working with several strong analysts at Sirius such as Carrie Rediker (Demand Creation), Kathy Contreras (Channel Marketing), Cheri Keith (Personas and Demand Creation) and Maria Chien (Channel Marketing). All of them have several years of practical experience working for enterprise clients. 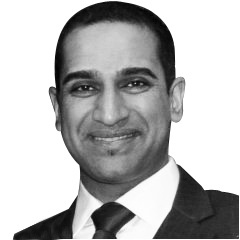 Thus, they understand the enterprise context and the requisite potential traps and landmines (both internal and external) that need to be considered. A consulting firm is only as strong as their consultants and Sirius seems to take this…seriously. (sorry). 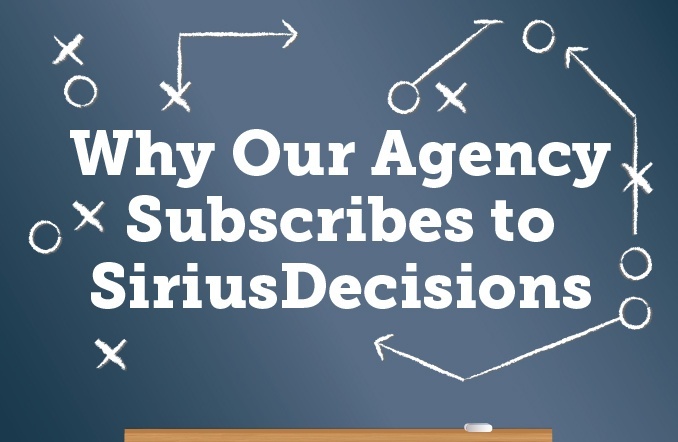 We work with several clients that are also Sirius Decisions subscribers. We strongly encourage our clients to share our work (personas, messaging, campaigns) with their SiriusDecisions account team to get some feedback. This serves a couple of purposes; Firstly, our client gets peace of mind that the work we’re doing makes sense for them and sets them up for success. Secondly, we get a 2nd set of objective eyes poking holes and offering constructive ideas aimed at our shared goal of making the client successful.